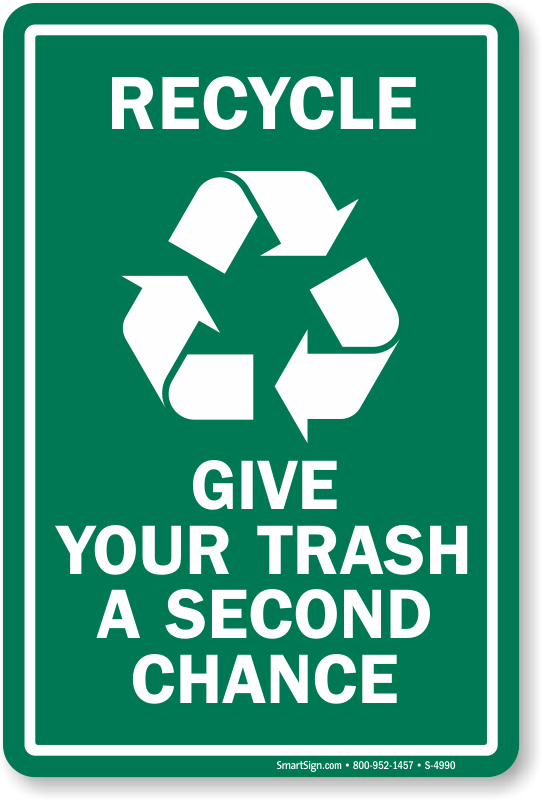 Post "Recycle, Give your trash a second chance!" as a clever way to make a difference. • Clever sign gets your message across.